Multiple Authors • $11.95 • 10 articles • Item # SR 173 Get 10 of our best and most popular training articles and presented so you can start your program now! This kit focuses on utilizing the ball skills to improve soccer-specific endurance. Includes an index of articles and how you can use it to establish your program plus a bonus feature on interval training with the ball. This kit presents three method of with ball soccer-specific endurance. The three methods are: skills-specific, season-specific and small sided games. Coaches can use a combination of these methods to achieve the endurance goals of their team utilizing ball skill and tactical aspects of the game. This kit shows you how. Articles #1-2 1. Combining Endurance Conditioning with Technical and Tactical Development Dribbling 2. Combining Fitness Training with Technique Training - Heading and Shooting Skills These articles utilize the Skills-Specific method of with ball endurance training. Articles #3-4-5 3. 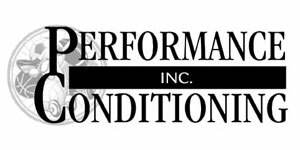 Coaches Guide--Combining Preseason With Ball Conditioning With Soccer Practice-Part 1 4. Coaches Guide--Weeks 1-2-3 Combining Preseason Conditioning With Soccer Practice-Part 2 5. Coaches Guide--Weeks 4-5 Combining Preseason Conditioning with Soccer Practice These articles utilize the Season-Specific method of with ball endurance training. Articles #6-7 6. A Coaches Guide-Classifying and Utilizing Small-Sided Games for Soccer Endurance 7. 4 v 4 the Ultimate Conditioning Specific Exercise These articles utilize the Small Sided Games method of with ball endurance training. Articles #8-9-10 8. Combining Soccer Skills with Endurance Conditioning 9. Combining Soccer Endurance and Technical Training 10. Combining Soccer Endurance and Technical Training #2 These articles show the progress from skills to technical training. Bonus: Interval Exercises for Improved Endurance and Soccer Skills This article introduces intervals to the endurance training process.